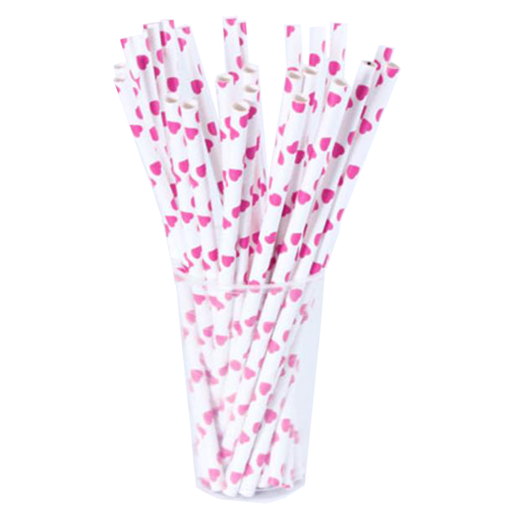 Pink Hearts Paper Straws - 25 Ct. 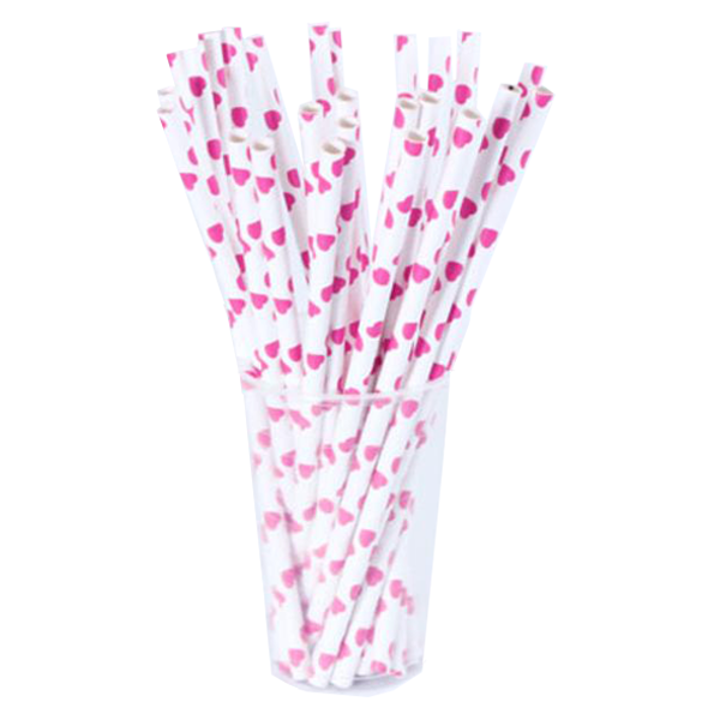 Delight dinner guests at your next event with our collection of printed paper straws. Made of paper, each straw is bio degradable and FDA approved. Each 7.75 in. straw features a fun stripe design that is certain to enhance any table setting. Perfect for birthday parties, bridal showers, and much more!